I consider myself to be a fan of the Harry Potter book series. I have read each book in the series multiple times, I have a collection of Harry Potter pick-up lines, and I have attended more than one midnight showing of Harry Potter movies on their opening nights. And, at least twice I attended them in costume. Yes, I was one of those people. However, in recent years my my zealous celebration of all-things-Harry-Potter has mellowed out considerably. However, I was recently thinking about a magical item from Harry Potter’s wizarding world. That item is called a portkey. 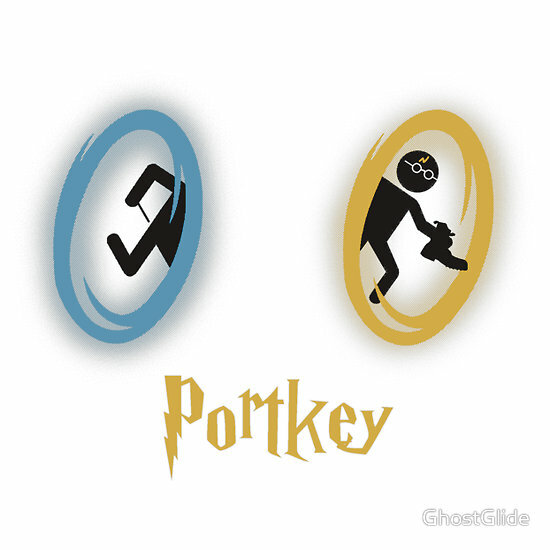 A portkey is an object, often a regular, everyday item such as a shoe, football, broom or trophy, that has been enchanted so that it can instantly transport the person who touches it to another predetermined location. In the Muggle (non-magical) world, there are instances in which the touch (or sight) of an item has the potential power to transport an individual to another place emotionally. For example, for a person suffering from Posttraumatic Stress Disorder, exposure to external cues (which could be sights, textures, sounds, smells or tastes) that remind them of their past trauma can transport that individual into a state of severe physiological distress. A more desirable example of an external object having the capacity to transport an individual into different emotional state is the self-nurturing kit. I was introduced to the concept of the self-nurturing kit when I was a Master’s student studying Marriage & Family Therapy. I was preparing for upcoming interviews for PhD programs I was considering, and expressed to my supervisor that I was feeling anxious about it. Sometimes, when I feel anxious or intimidated, I have a tendency to withdraw inside myself and become quiet and start to feel similar to how I did when I was an insecure teenager. I didn’t want to present that side of myself in my interview. My supervisor suggested that a self-nurturing kit may be a tool that I could use to connect to my more confident, competent self. I was intrigued. The idea of a self-nurturing kit is to find small, everyday items that can represent and remind its owner of things that they find nurturing and that connect them to feelings of peace or confidence. Some individuals may choose items from nature, a picture of a person or place they love, a fabric that reminds them of something or someone that makes them feel safe, an object that reminds them of a goal or a memory, a sentimental song, or a figurine of an animal that represents attributes they have developed. The possibilities are endless. The concept of a self-nurturing kit is, in some ways, similar in effect to how a security blanket or teddy bear that helps a young distressed child feel safe and calm. My PhD interview self-nurturing kit was small enough to fit into my pocket. I included three items: a jump drive, a monkey ornament, and a rock. The jump drive held lesson plans and PowerPoint presentations I had used in teaching, and reminded me of my ability and desire to teach and make a difference to others. The monkey ornament reminded me of my fun and playful side. And the rock reminded me of walks I would go on as a child with my Grandma in which I would pick up rocks along the path. It reminded me of my loving Grandma and of peaceful times in nature. When I would get nervous at my all-day interviews, I would put my hand in my pocket and remind myself who I was, why I was there, and think of times and relationships I associated with feeling calm and safe. Touching those items was my portkey to peace and confidence. Anyone can create their own self-nurturing kit. It may be small enough to fit in a pocket; it may keep it in a box, or it could even be a file on an electronic device containing meaningful and nurturing pictures and music. I find it helpful to have at least some items be tangible. There is power in touch. Having items that connect with other senses can also be powerful. Smells and tastes that connect you to more nurturing times can have an affect on your brain that helps you move away from your anxiety and toward connecting to calmness. When trying to come up with items to include in your kit, think of what is or has been nurturing to you. Think of things that you look forward to. Think of times in your life you have felt most hopeful, confident, safe or loved. Find objects or items that represent those memories, hopes or experiences. It can be meaningful to include pictures of people or places. A self-nurturing kit is by no means a cure for clinical-level anxiety. However, it does have the potential to better provide a connection to positive thoughts and feelings in many circumstances. And if nothing else, if you include a piece of chocolate in your kit, at least you’ll always have something to help you recover from Dementor attacks.